Home Hindu Why do Hindus remove their shoes when entering a temple? Why do Hindus remove their shoes when entering a temple? It’s a common practice amongst Hindu people whenever they visit a dharmik sthal/temple, so what’s the reason behind removing footwear outside? Going into temple is best way to cleanse your body and soul. In almost all the holy places of worship, it is believed that the cosmic energy from the cosmos is swirling around, by virtue of the place being a meeting point of energies, or by virtue of continued practice of prayer/meditation/ rituals/etc at that point in the temple or place of worship. This is the reason why we feel a sort of peace and quiet when we enter some temple, since that place is saturated with the vibrations of so many prayers/mantras/divine thoughts, which draw the cosmic energy into that place. The person who enters the holy place, becomes a conductor of that cosmic energy. It is believed that when that cosmic energy enters the person, it can cause drastic changes in the person’s physical and astral body if the person does not pass out the energy to the ground. Even though the cosmic energy is positive and beneficial, it is believed that not all human bodies are equipped to handle that kind of energy. (Some pranic healers even avoid healing babies because of this reason). Just as a building is fitted with a lightning rod, which is connected to the ground to “earth” the electricity flowing out of lightning, the human body needs to earth the cosmic currents, which is why, many schools of thought suggest walking barefoot on dewed grass or ground early in the morning to “reconnect” with the earth energy. This is said to not only activate the earth chakra in the human body, but also to release the negative energy from our body to the ground. And this is the main reason why in places of worship, one is required to take off their sandals or shoes. When the cosmic energy passes through the person, the person is cleansed of any diseased or negative energy by the positive cosmic energy. But I must add here that the same anology of positive energy also applies in the case of negative energy. Which is why, one should always WEAR FOOTWEAR in a place of possible negative energy, like a crematorium, graveyard, etc. Vedic Culture considers God to be absolute. 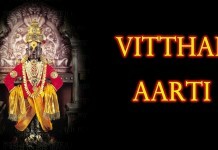 Hence Paraphernalia of lord is also respected and even worshiped. 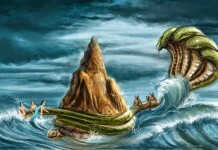 This is an important aspect of understanding God via the Vedic Scriptures. You not only learn to worship God but also respect and even worship his paraphernalia, his temple, his servants (the sadhus), his nature, and his creation also. But this is done with the clear understanding that these are being worshiped due to their relationship to God and not that these have become God or are God himself. Shoes are generally dirty, so one takes them off so as they do not make the house of God dirty. One should also wash their feets, hand, face before they go to worship. Traditional concept was to purify completely by taking a bath. Most temples still have a pond for this purpose just beside the temple. Ofcourse now a day we have become lazy. So atleast we follow basic etiquette of removing shoes, washing hands and legs. So much respect is given that before stepping on the temple floor or stairs leading to temple, a devotee hindu first touches the Stair with his head (either bowing down to touch the head or touching the hand to floor and then touching the same hand to his forehead) before putting the feet on the temple. These are part of Temple worship etiquette. These teach us how to surrender completely to God. Just like if you have to respect the King you have to respect his Ministers also, his army, his ambassador also, his palace also. This is because king is not alone. Disrespecting king’s palace or even kingdom is like disrespecting the king himself. The only footwear allowed inside a temple is called Khadau. It is purposely used by priests, and those who work inside the temple. 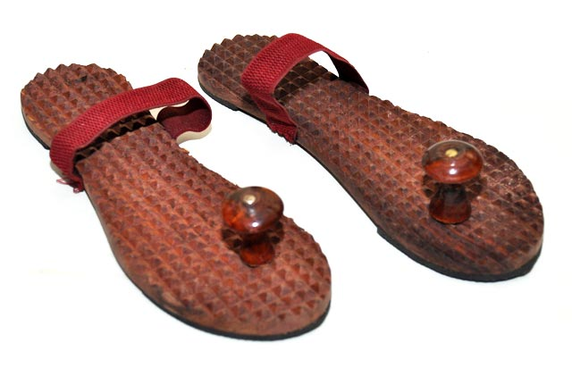 A Khadau is essentially the old style footwear. It is made of wood. Modern day footwear are not considered holy as these are. We now make footwear with things mostly prohibited to take in use. They also get dirty soon enough. There is perhaps, more to this. Wooden footwear keep the mind cool and are insulators of electricity and heat (wood used to make footwear doesn’t catch fire!). You might have roamed whole city before visiting temple. shoes might have had a non hygienic things to pollute the area of temple. so it is common sense that you shouldn’t wear the shoes where people sits, eat and pray. It is the Hindu custom to remove footwear before entering THE LORDS HOUSE,. or any house for that matter. It is believed that footwear carries germs dust and dirt from the streets. 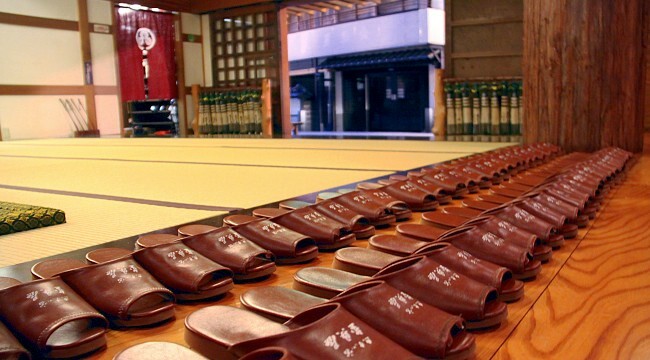 It is also customary for people to wash their hands and legs before they enter any temple. This is an example of how the Hindus maintained sanitation and cleanliness of their surroundings. 4. In Hindu religion and similar religions, animal skin that most footwear are made of considered impure to be carried to a Temple. You can see specially in north India that priests wear wooden slippers called “Paduka” inside temples and other religious places that is allowed. Previous articleNamaste – Symbol of Indian Culture.